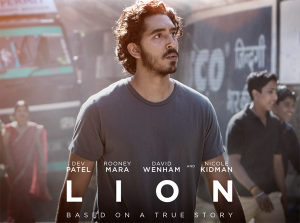 Starring: Dev Patel, Nicole Kidman, Rooney Mara. 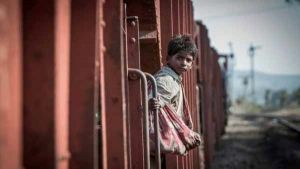 Five-year-old Saroo gets lost on a train which takes him thousands of kilometers across India, away from home and family. He learns to survive alone in Kolkata before ultimately being adopted by an Australian couple. Twenty-five years later, armed with only a handful of memories & his unwavering determination, he sets out to find his lost family.